It seems Sanrio is doing quite well these days because their offices get an upgrade. A very nice one with all the benefits that an office can offer: comfort, style, and space. As a fan, I am full of curiosity as how they will decorate their new pad with all the Sanrio character designs at their disposal. Will they be setting up a few vintage and modern displays of past products? Will there be a kawaii playroom? For those who get to visit in the future -- lucky!! Sanrio Inc., the Japanese parent company behind Hello Kitty, plans to move its Southern California headquarters from Torrance to a burgeoning high-tech sector in El Segundo. The cat-themed stationary, school supplies and small gift manufacturer has signed a lease for a building across Sepulveda Boulevard from the military contractor Raytheon, near El Segundo Boulevard. Sanrio will be the lead tenant in a $25 million office renovation designed by Bixby Land Co. The 29,000-square-foot space is more than twice the size of Sanrio’s current office. 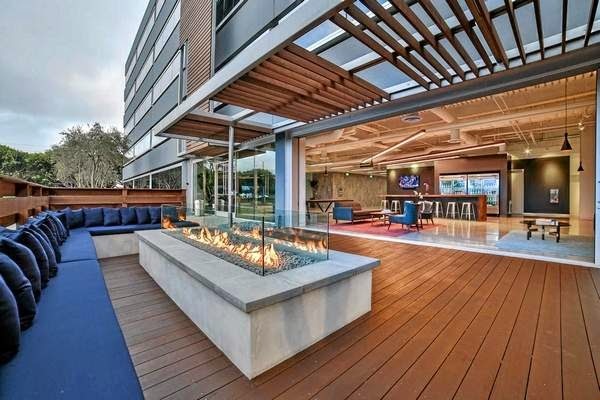 The five-story, 114,00-square-foot building, which used to be owned by Raytheon, is one several former aerospace and defense facilities in the area that are being renovated to attract new business, many of which come from the booming technology sector spilling south from Santa Monica, Venice and Playa Vista. Designed to promote a culture of collaboration between workers and businesses, the Sanrio building will have a coffee bar, bakery and lounge area that connects to an outdoor patio. These days, companies are less focused on the economics of office space and more focused on the amenities that those buildings can provide for their employees, said CBRE Vice President Bill Bloodgood, who represented Bixby in the Sanrio deal. “A positive and healthy work environment makes it a lot easier for people to work longer hours, compared to the Dilbert environment of the past,” Bloodgood said, referring to the comic strip that pokes fun at the drudgery of corporate life. El Segundo used to be considered a secondary market, Bloodgood said, but over the last two years clients have started to view the area as an extension of the Westside. The Sanrio move comes a year after the city of El Segundo launched a $450,000 public relations campaign to attract new business to its Los Angeles International Airport-adjacent community. The city hopes to attract 100 new businesses by 2017, which is also El Segundo’s 100th anniversary. Bloodgood said the campaign has been effective in attracting new business to the area, although the city may simply be benefiting from L.A.’s tech boom. The Apollo at Rosecrans redevelopment has brought about 430,000 square feet of new office space to the city. The Elevon, a 210,000-square-foot creative office space, is scheduled to open this year. The influx of well-paid office workers also has spurred investment in new retail spaces like The Point, an $80 million shopping and dining complex scheduled to open this summer. Sam Lee, the city’s director of planning, building safety and economic development, sees El Segundo as the next destination in the tech boom.